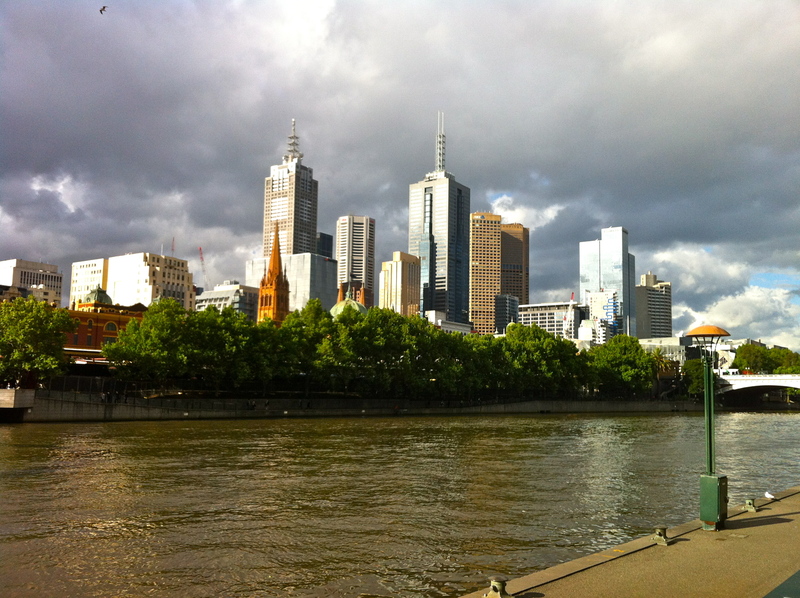 It seems I have forgotten to document a pretty significant part of my trip: Melbourne! I came here after spending time on the Great Ocean Road and befriending koalas, and it was a real treat to find the city so chic, modern, historic, charming and alternative all in one. Gorgeous buildings that reminded me so much of Europe, all built at warp-speed during the Victorian gold rush of the 1800s when the city had more money than it knew what to do with. There’s an ongoing raging debate as to what’s better: Sydney or Melbourne. Anyone caught in the middle will be persecuted from both sides. Originally Melbourne was planned and built without any alleys, a measure taken to try and prevent crime. Apparently businesses were unhappy with the setup, and rebuilt sections of buildings so as to have back doorways and access all around, creating alleyways that weren’t supposed to be there. 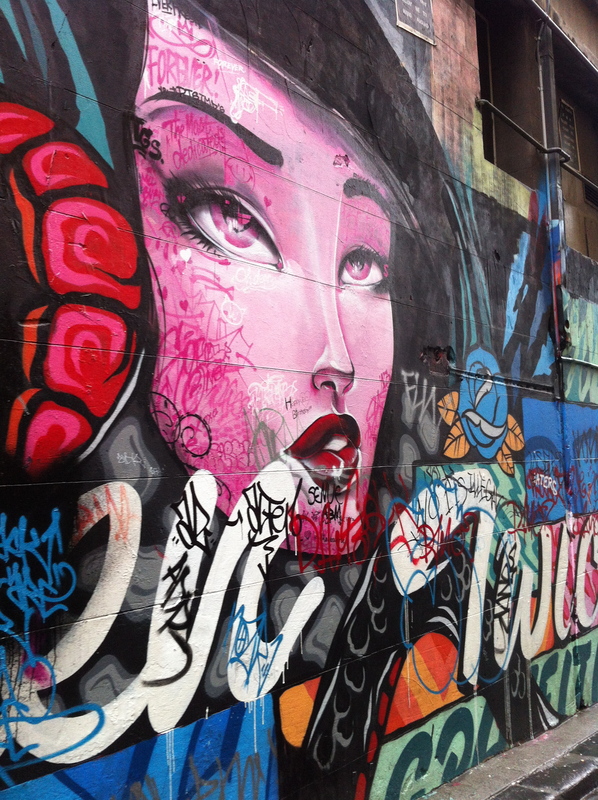 These days, the alleys are a huge part of Melbourne culture, and are amazing places full of street art, culture, cafes, shops and great food. Permits are supposedly required to create graffiti art, and good artists are highly esteemed for their work. Most pieces last only a few days, but occasionally one lasts as long as a few years before anyone dares paint over them. I spent my time leisurely strolling the downtown district back alleyways, soaking in the art and lively cafe culture that rivals Seattle. Even the constant drizzle was a reminder of home. 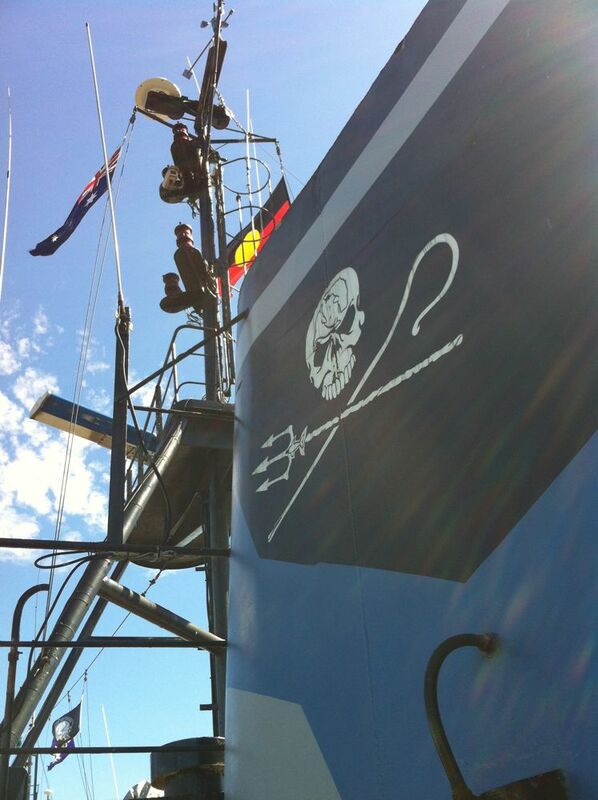 Rachel, a great girl and new friend I spent a few days with on the Mornington Peninsula just prior, took me on a tour of the Sea Shepherd boats that are now permanently residing in a harbor in Melbourne. It was pretty amazing to be on board those big ships and learn how they operate their organization, and meet some of the crew that help stop illegal whaling activities in Antarctic areas. Apparently, they helped save over 900 whales just last year alone. I had the pleasure of staying with a very old family friend who I haven’t seen since I was 6 years old. Sumi, her Dutch husband Thomas, and mother Tele were great hosts, and it was good to have a few days’ rest in their lovely 1906 home just minutes from downtown on the tram. 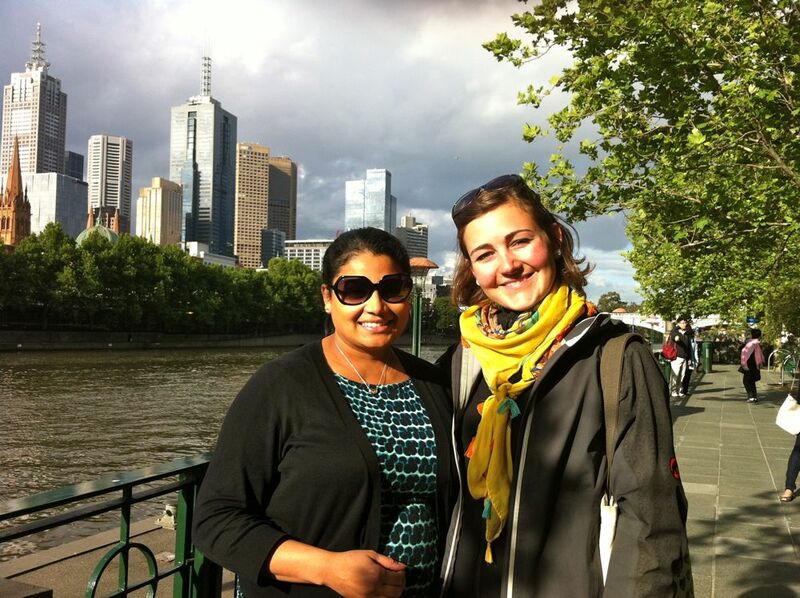 Nearly 5 months pregnant, Sumi didn’t mind spending her time walking around town and showing me the local sites! This is definitely a city I could see spending more time in. Here’s an excellent video targeted at motorcyclists, to remember Safety First, which I definitely appreciated watching. The next few hours were a total delight, and I was reminded why I put myself at risk day in and day out on a bike. I started off on the Maroondah highway going through the Yarra Ranges National Park, a lovely temperate rainforest just outside the city. It felt like being in Jurassic Park. You know you’re on a beautiful winding road when you see signs with a picture of a motorcycle and the words “high risk”. “Look bike” was a pretty good one, too. 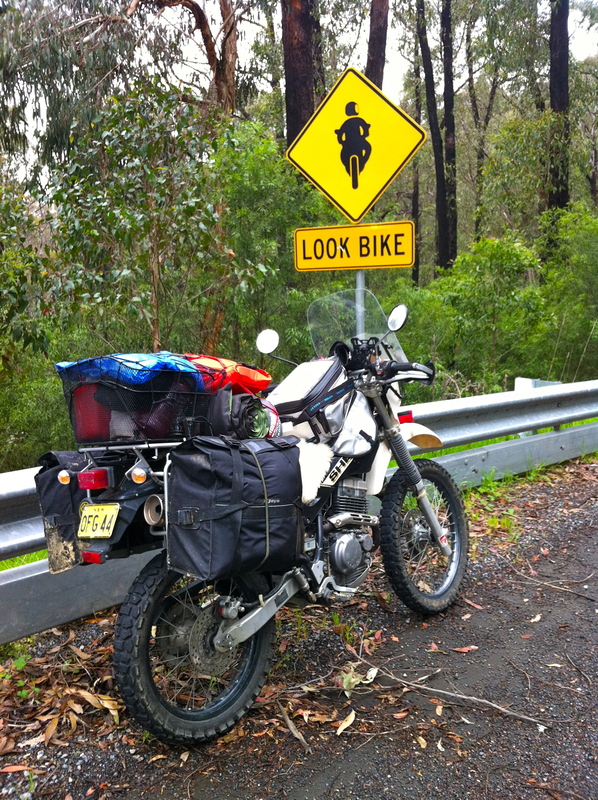 I made my way about 400km up to Rob and Kath’s place in Wodonga. I met them at the Horizons Unlimited Cavendish event, and to my delight, Kath was riding a Sherpa, same year as mine. We decided it was the largest Sherpa girl-gathering in all the land (all 2), plus Rob’s KLR. The best part of solo traveling is all the people you meet along the way. The generosity and kindness is just amazing, and connects you to the places you visit more than anything else. Glad you got to spend some time with Sumi & family. Looks like a great town!